Linus Pauling, 1969. Credit: Margo Moore. 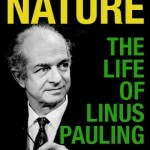 Linus Pauling began his appointment as Professor of Chemistry at Stanford University on July 1, 1969. During his years in Palo Alto, Pauling’s experimental work largely focused on developing and refining urine and breath analyses for use in diagnosing various diseases and genetic conditions ranging from schizophrenia to cancer, skin disease, heart disease, and Huntington’s chorea. In addition to funding from the National Institutes of Health and the National Science Foundation, Pauling and his laboratory were supported by a collection of smaller awards including a 1971 grant from the American Schizophrenia Association. During his Stanford years, Pauling also continued to promote his research and peace work through a hectic travel schedule and regular publications. In January 1970, Pauling served as Visiting Professor at the Technical University of Chili, where he also received the Medal of the Senate of Chili. That same year, Pauling published an influential article, “Evolution and the Need for Ascorbic Acid” as well as his book Vitamin C and the Common Cold. The latter would become a bestseller. In 1971 Pauling published six articles, one on nuclear weapons and others covering various topics in chemistry. He also completed revisions for, and saw published, the third edition of his hugely successful textbook, General Chemistry. In April 1971, he received the Lenin International Peace Prize at the Soviet Embassy in Washington, D.C. The next year, he partnered with Paul Wolf in the Department of Pathology to study sickle cell anemia. And in early 1973, Orthomolecular Psychiatry was published, which Pauling co-edited with David Hawkins. In short, though now in his early 70s, it was clear that Pauling had no intention of slowing down. Not long after his arrival, Pauling identified a need to begin situating himself within the university’s administrative apparatus. One of the first items on his to-do list was to update his consent forms and put them on Stanford letterhead. Since he was now associated the university, doing so would help should any legal problems arise with his research. Perhaps most importantly, though he fully understood the modest circumstances governing his hire at Stanford, Pauling was nonetheless perturbed at times with the accommodations that had been made for him. 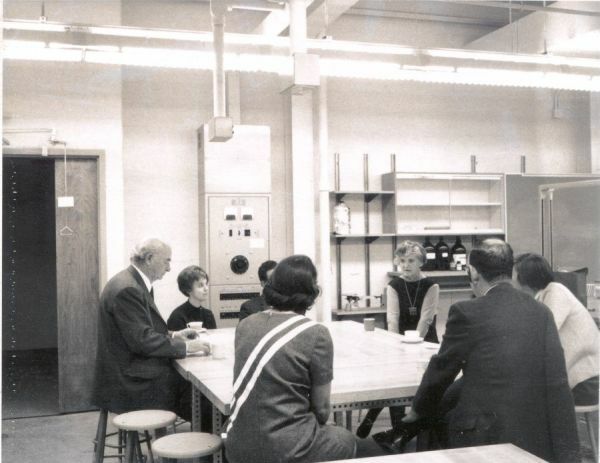 In an undated letter to Alan Grundmann, a that time an assistant to the Stanford provost, Pauling complained about his small work area, emphasizing that space around him was sitting unused. As his mood soured, Pauling demanded that Stanford do a better job of acting in accordance with the space guarantees that had been stipulated in his contract. Pauling subsequently threatened to leave if the situation didn’t improve, suggesting that he might return to the University of California in San Diego, where he knew that they had enough space for him. Though his relationship with administration may not have been perfect, other faculty members at Stanford were clearly very interested in Pauling’s research and teaching. 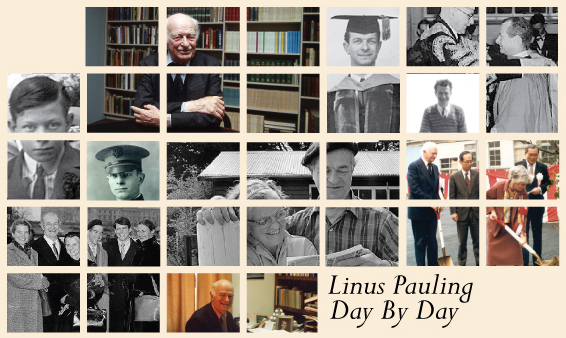 Not long after he arrived, a variety of professors began asking Pauling to address classes varying from a general chemistry course, a psychiatry research seminar, and a postgraduate survey of basic medical science. Pauling also spoke to medical and psychiatry students about vitamin C and his newly developing concept of orthomolecular medicine. Even Pauling’s personal medical examinations piqued interest within the Stanford community. Roy H. Maffly at the Department of Medicine conducted a renal evaluation of Pauling, a study that was possibly inspired by Pauling’s successful bout with glomerulonephritis in the 1940s. (a medical triumph that had been led by a Stanford physician, Thomas Addis) Maffly was also keen to learn more about Pauling’s own urine studies and agreed to interpret the results of Pauling’s evaluation using Pauling’s methods. Within the Chemistry Department, Pauling joined the Industrial Affiliates Committee, which was chaired by his friend Carl Djerassi. This committee sought to connect private corporations to the research being conducted within the Chemistry Department by addressing questions like the relationship between chemistry and chemical engineering. 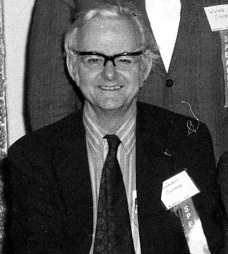 Pauling was also involved in organizing different symposia for the committee, speaking at its first such gathering in November 1969. He likewise represented the group when he presented on his vitamin C research at an international conference in 1973. Pauling further integrated himself into the Chemistry Department by taking on graduate students. By the start of his second year, Pauling was chairing two doctoral committees and was a member of four others. His students included Robert Copland Dunbar, who was using ion cyclotron resonance to study the interactions between ions and molecules. 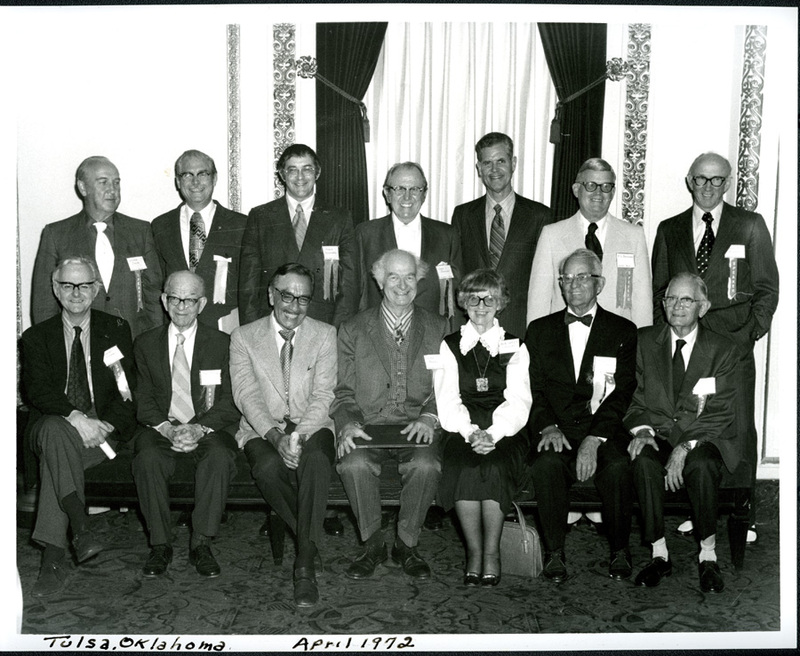 Margaret Blethen and John Blethen, both of whom worked with Pauling on his schizophrenia studies, and David Partridge, who worked on the chromatographic analysis of urine samples, were also mentees of Pauling’s. Working with doctoral students gave Pauling the opportunity to offer advice based on his experiences at the University of California San Diego, where graduate students rotated between different laboratories during their initial months. Pauling suggested to others in the Chemistry Department that first year students rotate through six different laboratories, spending six-week periods in each over the course of the year. Pauling believed this to be an effective way for new students to get to know staff and to better understand the different lines of research being conducted. Armed with these experiences, the students would then be better able to make a considered decision when it came time to choose the path that they would follow at the start of their second year. Pauling also suggested that graduate student research not be tied to funding. Ava Helen and Linus Pauling near the beach at La Jolla, 1969. Moving the project to Stanford meant that the researchers would be afforded the opportunity to work with mental health patients at Sonoma State Hospital, all of whom were consuming the same diet, as provided by the Vivonex Corporation. Intrigued, Pauling coordinated with Vivonex to obtain copies of the diet that the company had tailored, the idea being that his control group could follow it as well. By now, Pauling and his team felt confident that they had uncovered evidence of abnormal patterns of ascorbic acid elimination in individuals suffering from acute and chronic schizophrenia. He and his colleagues planned to continue their analyses of these abnormalities as they moved toward the identification of genetic defects, the creation of diagnostic tools, and the promotion of effective therapies for sufferers of mental disease. Pauling’s final act at UCSD was appropriately radical. Shortly after the student occupation of People’s Park at UC-Berkeley and the subsequent death of James Rector, a Berkeley student who was shot by Alameda County Sherrifs in May 1969, UCSD students and faculty gathered to decide how they would respond to the tragedy at their sister school. Most of the faculty in attendance expressed a desire to simply mourn the death and voice their solidarity with Berkeley, but not to disrupt daily operations. part of a pattern—the pattern of the war in Vietnam, the increasing militarism of the United States, the growth of the military-industrial complex, the suppression of the human rights of young men and others. He further explained that those who held power would do whatever was necessary to protect and move forward with a deeply cynical plan. And in detailing his point of view, Pauling made it clear where he stood with regard to the next appropriate actions. The plan is the continued economic exploitation of human beings. The purpose of the plan, which has been successful year after year, is to make the rich richer and the poor poorer…Everyone in the whole University of California, all the students, the faculties, the employees, should strike against the immorality and injustice of the act at Berkeley. Less than a week later, Pauling participated in a march and rally at the State Capital in Sacramento, where he gave an impromptu speech that echoed his remarks in San Diego. “The university is not the property of Governor Reagan and the other regents,” he exhorted. “We must protest until the police and the National Guard are removed from the campus of the University of California…the university belongs to us, the students, the faculty, and the people.” So concluded Pauling’s final remarks on the UC system and its regents while a member of the UC faculty. Although Pauling never worked within the University of California again, his short time at UCSD was undeniably productive and useful. For one, his two years in La Jolla marked a reemergence, of sorts, into the scientific realm following his frustrating tenure at the Center for the Study of Democratic Institutions. UCSD also provided the opportunity for Pauling to incubate his partnership with Arthur Robinson. This relationship later proved key to the creation of the Institute for Orthomolecular Medicine, known today as the Linus Pauling Institute. The collaboration also provided a strong foundation from which Pauling worked doggedly to expand his research on all manner of topics related to orthomolecular medicine. Though the work ultimately proved to be very controversial, as he left La Jolla, Pauling had every reason to be optimistic about the bold new direction that his research was taking. 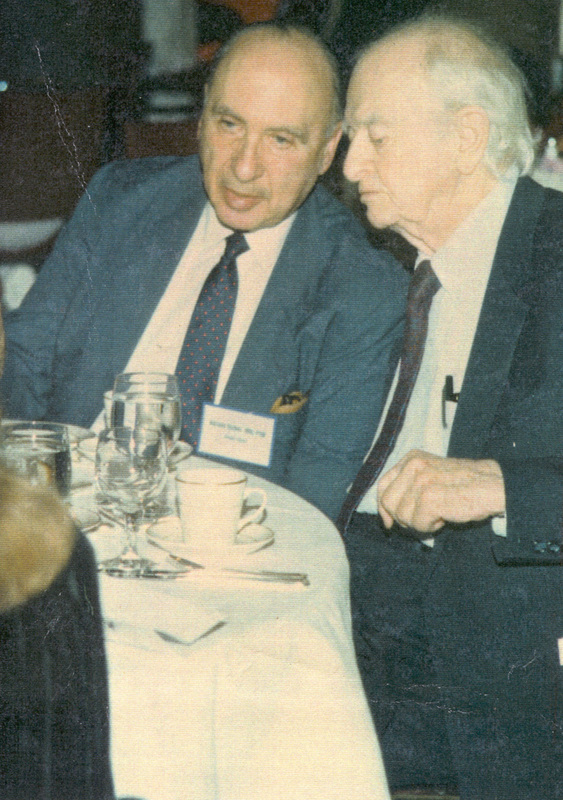 Abram Hoffer and Linus Pauling at the symposium, “Adjuvant Nutrition in Cancer Treatment,” Tulsa, Oklahoma, November 1992. We have written before on both the orthomolecular psychiatry of Linus Pauling and the birth of orthomolecular medicine, which has its roots in nutritional (later called orthomolecular) psychiatry. This post delves further into how orthomolecular psychiatry came to be, as well as its marginalization out of the scientific mainstream. It all began with Albert Hofmann, the Swiss scientist who, in 1938, famously synthesized LSD and discovered its psychedelic properties. After several trials, some on himself, Hofmann developed the hypothesis that LSD mimics the effects of psychosis. Hofmann’s idea inspired two English psychiatrists, Dr. Humphry Osmond and Dr. John Smythies, to further his research in the late 1940s. Using mescaline (derived from the peyote cactus) as their basic compound, the duo took Hofmann’s work a step further, eventually conjecturing that schizophrenics suffered from an overdose of an endogenous (made in the body) toxin that was similar in structure to mescaline and LSD. Finding no sympathy in England – at the dominated by Freudian thought – Osmond and Smythies took their work to Saskatchewan, Canada, relocating there in late 1951. Once in Canada, Osmond met Abram Hoffer, a fellow psychiatrist with whom he would collaborate for decades. Together, Hoffer and Osmond ran the psychiatric sciences and therapies divisions of the psychiatric hospital in Weyburn, Saskatchewan, which housed a number of schizophrenic patients. Hoffer and Osmond eventually discovered the toxin that Osmond and Smythies had suspected was causing the psychoses present in schizophrenics: adrenochrome, a byproduct of the body’s metabolic oxidization of adrenaline and noradrenaline. The next step in helping their patients, the doctors felt, was to find some way to alleviate the psychoses brought about by schizophrenia. This led them to nicotinic acid, also known as vitamin B3 or niacin. Niacin, they learned, was known anecdotally to help patients with neuropsychiatric disorders. This fit with the fact that pellagra, a disease caused by a deficiency of niacin, sometimes presents with psychiatric symptoms. Eager to test their theory that vitamin B3 could help alleviate mental disease, Hoffer and Osmond began experimentation, dosing their schizophrenic patients with large amounts of niacin by adding it to their daily diets in the first double-blind tests performed in psychiatry. Once the experimentation was finished, Hoffer and Osmond followed their patients for ten years, measuring the effectiveness of their added-vitamin therapy in terms of readmission rates and ability to find outside employment once released from the hospital. In 1962 Hoffer and Osmond published the book Niacin Therapy in Psychiatry, the text that introduced Linus Pauling to the duo’s megavitamin work. The book revivified his interest in the biochemical basis of mental illness, which he had been studying for a decade, having previously learned that phenylketonuria is a molecular disease in much the same way as sickle-cell anemia. By the time Pauling read the niacin book, anecdotes about megavitamin therapy, as it was then called, had begun to spread. Additionally, it had already been discovered that niacin could lower cholesterol levels. When added to his prior knowledge, these facts led Pauling to find the evidence presented in the book compelling enough to merit further investigation. The final ingredient to Pauling’s interest appeared the next year, when Dr. Irwin Stone introduced Pauling to the potential health benefits of large doses of Vitamin C. . It wasn’t until 1967 that Pauling coined the term “orthomolecular,” using it in print for the first time in a paper titled “Orthomolecular Methods in Medicine.” In 1968 Pauling wrote his more famous paper on the subject, “Orthomolecular Psychiatry,” published in the journal Science. Pauling, of course, went on to found the Institute of Orthomolecular Medicine with Art Robinson in 1973, (soon after renamed the Linus Pauling Institute of Science and Medicine) and co-edit the book Orthomolecular Psychiatry: Treatment of Schizophrenia in the same year. Around this time, Pauling also began broadening his theory of orthomolecular medicine to include the whole body, not just the mind. But what happened to Hoffer and Osmond? The answer to this question plays a part in understanding why many doctors today still refuse to consider orthomolecular medicine a legitimate form of treatment. In 1967 Hoffer and Osmond formed both the Canadian Schizophrenia Foundation and the American Schizophrenia Association. The two doctors had recently been encountering a great deal of resistance to the publication of their ideas, so they started their own journal, the Journal of Schizophrenia, in the same year. They asked Pauling to serve on the editorial board; Pauling agreed, participating in that capacity for the rest of his professional life. Orthomolecular psychiatry is the achievement and preservation of good mental health by the provision of the optimum molecular environment for the mind, especially the optimum concentrations of substances normally present in the human body, such as the vitamins….The APA task force report Megavitamin and Orthomolecular Therapy in Psychiatry discusses vitamins in a very limited way (niacin only) and deals with only one or two aspects of the theory. Its arguments are in part faulty and its conclusions unjustified. But Pauling, Hoffer, and Osmond’s expressions of outrage at perceived mistreatment by the APA weren’t enough to overcome further obstacles that lay ahead. For one, in the mid-1970s, orthomolecular psychiatry, rather than sticking to megavitamin doses, expanded to include diet in the treatment of mental health, as well as avoiding stimulants like nicotine. However, no consensus was reached within the community with regard to precise standards for the practice, so recommendations varied from doctor to doctor, making the efficacy of orthomolecular psychiatry difficult to evaluate. The mainstream introduction of tranquilizers and the phasing out of electroconvulsive therapy in the treatment of mental illness also proved a barrier to the orthomolecular community. Tranquilizers, unlike megavitamins, were immediately successful in alleviating symptoms, making orthomolecular medicine, which took time to work, appear ineffective by comparison. Eventually, whenever a patient would ask about megavitamin or orthomolecular therapy as an alternative treatment, many doctors would simply cite the APA report, claiming that it had disproven orthomolecular methods. After a while, most patients simply stopped asking. The American Schizophrenia Association eventually became the Huxley Institute for Biosocial Research, still led by Abram Hoffer. Dr. Hoffer asked Pauling to serve on its board of directors but Pauling declined, by then more interested in pursuing Vitamin C in the treatment of cancer and colds. The flagging in his energy for the discipline of orthomolecular psychiatry was indicative of the lack of momentum within the field, a situation that persisted for the remainder of Pauling’s life. Humphry Osmond (front row seated, far left), with the Paulings and others at a gathering in Tulsa, Oklahoma. April 1972. Dr. Humphry Fortescue Osmond, while never a direct collaborator of Linus Pauling’s, was nonetheless a professional influence in his life and a friend. Alongside Dr. Abram Hoffer, Osmond helped to establish orthomolecular psychiatry, the precursor to the larger body of work on orthomolecular medicine that consumed Pauling for close to three decades. 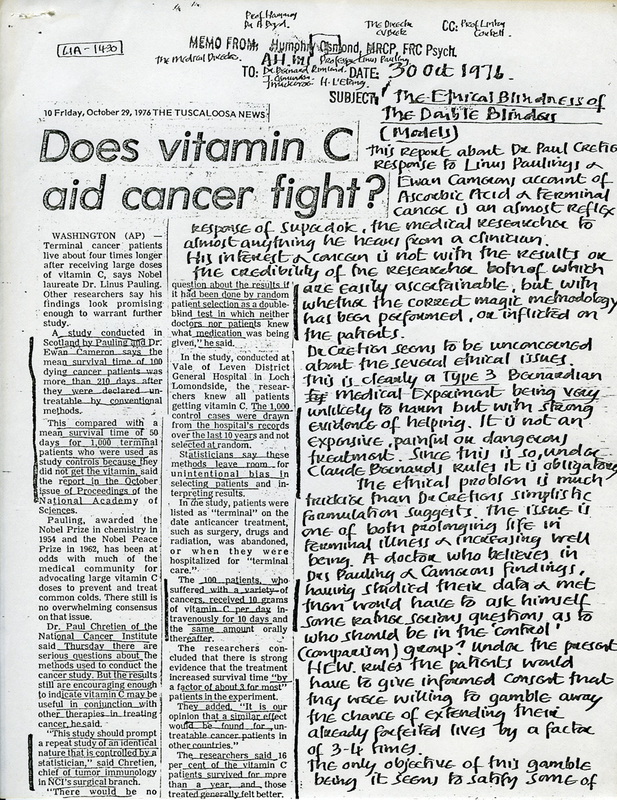 Later in life, Pauling and Osmond wrote numerous letters back and forth, in which Osmond often shared interesting articles on the uses of vitamin C, schizophrenia, nutrition, and orthomolecular medicine. Osmond is famous to both the medical community and to the public for related, yet separate reasons. In the field of medicine, Osmond, along with Abram Hoffer, is best known for his work in orthomolecular psychiatry. Working together, the two doctors performed extensive studies on schizophrenic patients in psychiatric hospitals in Saskatchewan, Canada, using niacin (vitamin B3) and ascorbic acid (vitamin C) as potential cures for the disease. Osmond is also known for his work with lysergic acid diethylamide, or LSD, in the treatment of alcoholism and as a way for psychiatrists and psychologists to experience something approximating what he believed to be the state that schizophrenics experience as they struggle with their illnesses. To the public however, Humphry Osmond will forever be known as the man who coined the term “psychedelic” and the man who “turned on,” in the words of the famous LSD advocate Timothy Leary, acclaimed British author Aldous Huxley, a man with whom he developed a close friendship. In the early 1950s, Huxley approached Osmond after reading an article on his research with mescaline; Huxley expressed a desire for Osmond to run a human trial of the drug with Huxley as subject. Osmond wasn’t fond of the proposal, not relishing “the possibility, however remote, of finding a small but discreditable niche in literary history as the man who drove Aldous Huxley mad.” Despite his misgivings, Osmond dosed Huxley with 400 mg of mescaline in 1953. The result was recorded in Huxley’s cult hit The Doors of Perception (1954), a book that both takes its name from William Blake’s poem “The Marriage of Heaven and Hell” and inspired the name of the legendary 1960s rock band, The Doors. To make this mundane world sublime, / take half a gram of phanerothyme. To fathom Hell or soar Angelic, / just take a pinch of psychedelic. Psychedelic – again from Greek etymology – translates to “mind-manifesting.” By 1957 Osmond had introduced the word to the medical community as a way to describe the euphoric, perception-altering, mind-expanding effects of hallucinogenic drugs like LSD, mescaline, DMT, and psilocybin. Previously the only well-known description of this concept was “psychotomimetic,” a mimicry of the symptoms of psychosis. Humphry Osmond was born in July 1917 in Surrey, England, gaining his primary and secondary education from Haileybury, a long-established boarding school in Hertfordshire. After Haileybury, Osmond earned his medical degree from Guy’s Hospital Medical School, London, in 1942, and from there joined the Royal Navy, commissioning as a surgeon-lieutenant and training to be a ship’s psychiatrist. After the Second World War concluded in 1945, Osmond returned home and accepted a position as a resident psychiatrist at St. George’s Hospital, Tooting. It was here that he met his future wife, Amy “Jane” Roffey, and his first major research partner, Dr. John Smythies. Together, Smythies and Osmond performed a number of studies in the late 1940s on the chemical composition and effects of the drug mescaline – a hallucinogenic derived from the peyote cactus – having been inspired by the work of Albert Hofmann, who had discovered the hallucinogenic properties of LSD a decade prior. From their research, Smythies and Osmond hypothesized that because the experience of subjects on mescaline seemingly mimicked the symptoms of schizophrenia, and that because mescaline is structurally related to adrenaline, it could be possible that schizophrenics were over-producing a chemical related to both mescaline and adrenaline. They called this hypothesis, fittingly, the “M-hypothesis.” The idea, when presented to the British psychiatric medical community – which at the time was dominated by Freudian thinking – was not well received. Feeling isolated in the UK, in 1951 Humphry and Jane Osmond, along with John Smythies, immigrated to Canada, where Osmond had been offered a job as the clinical director of the psychiatric hospital in Weyburn, Saskatchewan. 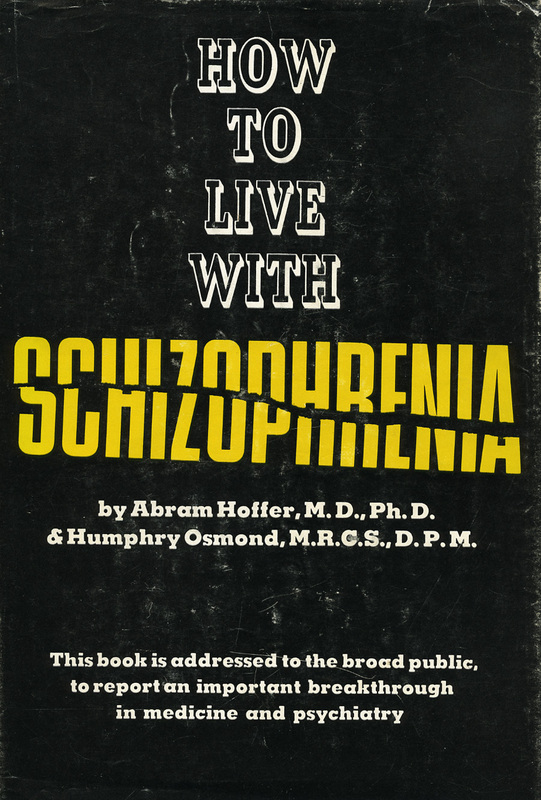 “How to Live with Schizophrenia,” by Abram Hoffer and Humphry Osmond, 1966. It was at Weyburn that Osmond met Dr. Abram Hoffer, director of psychiatry at the hospital, with whom Osmond would collaborate for the next decade. Working together with the patients at Weyburn and at neighboring hospitals, Osmond and Hoffer developed what became known as the “Hoffer-Osmond Adrenochrome-Hypothesis.” Using the M-hypothesis as their basis, Osmond and Hoffer claimed that it was adrenochrome, a byproduct of adrenaline that is structurally similar to mescaline and other hallucinogens, that schizophrenics were overproducing. In theory, schizophrenics were suffering from their disease either as a result of their bodies producing too much adrenochrome or through an inability to properly metabolize adrenaline. Working from this hypothesis, Osmond and Hoffer next searched for a way to reduce the overproduction of adrenochrome, hoping to find a cure for schizophrenia as well as additional evidence for their idea. Learning that niacin might limit the production of adrenaline, they decided to dose their schizophrenic patients with “megavitamin” amounts of B3, adding it to their diets in the first double-blind studies ever conducted in the field of psychiatry. The results were encouraging: according to their studies, the recovery rate for the schizophrenics that they treated over the next few years doubled from 35% to 75%. In addition, the Osmond and Hoffer studies provided data that added to the finding that niacin could reduce cholesterol, a result that was replicated and confirmed by the Mayo Clinic in 1956. This finding is now globally accepted and niacin is presently used in the treatment of high cholesterol all over the world. An example of Hoffer’s “memos,” October 1976. 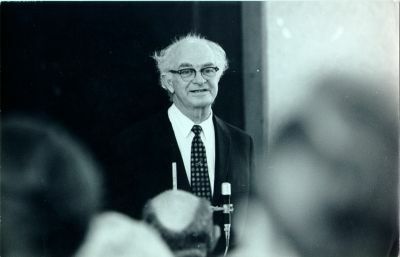 In 1967 Linus Pauling – who had learned of Hoffer’s work on niacin two years before – read the Osmond and Hoffer studies and, finding the subject interesting enough to pursue further, wrote to the duo asking for more information. The data that he received was eventually included by Pauling alongside his own theories in his seminal paper, “Orthomolecular Psychiatry” (published in Science in 1968) as well as in the book that he co-edited with Dr. David Hawkins, Orthomolecular Psychiatry: Treatment of Schizophrenia (1973). Over time, Pauling expanded his orthomolecular theory from the study of the mind to include the whole body, thus creating the field of orthomolecular medicine. This initial contact between Drs. Pauling and Osmond led to a nearly thirty-year correspondence between the two men, with Osmond regularly sending to Pauling selected copies of his “memos” – commentaries in which Osmond would paste a news article onto the left side of a sheet of blank paper, then cover the right side and the back with prodigious, elegant essays on the context, significance, and meaning of the article. (These memos were collected into a book, Predicting the Past, and published in 1981). Osmond made special effort to forward to Pauling those memos concerning ways in which orthomolecular medicine was being used around the world as well as any material on mental illnesses. Exchanges between the two men were often personal as well as professional. For example, after learning of Ava Helen Pauling’s trouble with cataracts, Osmond sent Dr. Pauling any information that he could find on the ocular malady, of which Osmond was also a sufferer. Osmond also wrote letters filled with his thoughts on Pauling’s activism and increasing celebrity, including a letter in which he agreed with Pauling’s negative assessment of physicist Edward Teller, a major advocate for U.S. nuclear armament and the hydrogen bomb, as well as a letter congratulating Pauling on his 1977 appearance on NOVA. In 1961 Osmond was appointed Director of the Bureau of Research in Neurology and Psychiatry at Princeton University. While there, he continued his research into schizophrenia as a physical illness. In 1970, hallucinogenic drugs like mescaline, LSD, and DMT were declared controlled substances, and studies on the effects of these drugs on psychiatric patients was curtailed. In 1971 Osmond resigned his position at Princeton and moved to Alabama, where he taught at the University of Alabama, Birmingham as a professor of psychiatry. He worked there alongside his old friend, John Smythies. Osmond also consulted at Bryce Hospital in Tuscaloosa, the oldest and largest in-patient psychiatric hospital in Alabama. He retired from the university and the hospital in 1992. A decade later, by then an octogenarian, Osmond granted an interview for a documentary on the history of LSD, titled “Hofmann’s Potion.” Not long after, in February 2004, Osmond died of natural causes at his daughter’s home in Appleton, Wisconsin. Abram Hoffer wrote an obituary on the event of Osmond’s passing, which was featured in the British newspaper, The Guardian. Some of Humphry Osmond’s more well-known books include The Chemical Basis of Clinical Psychiatry (with Abram Hoffer, 1960); How to Live with Schizophrenia (with Hoffer, 1966); Psychedelics: The Uses and Implications of Hallucinogenic Drugs (with Bernard Aaronson, 1970); and Models of Madness, Models of Medicine (with Miriam Siegler, 1974). A complete bibliography of his works can be found here. The Paulings in Tianjin, June 1981. 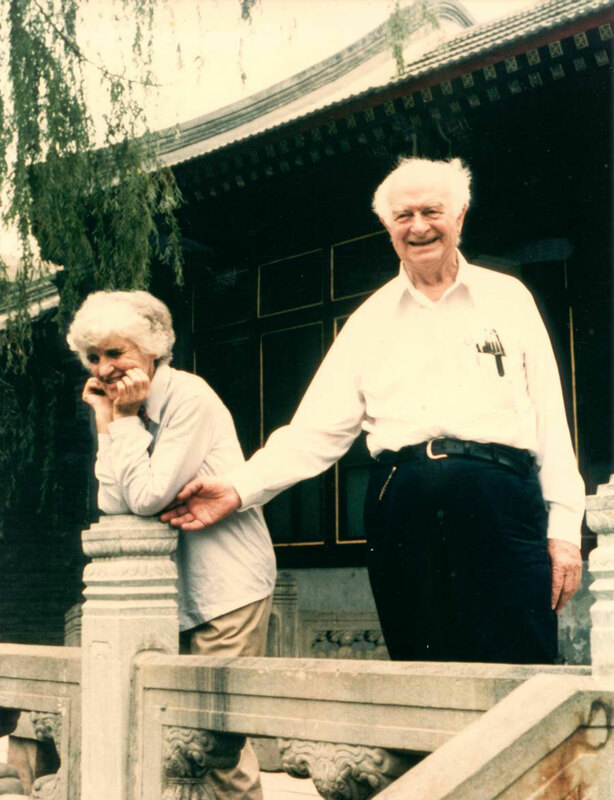 In the summer of 1981, Linus Pauling participated in the First International Conference on Human Nutrition, which took place in Japan and China. 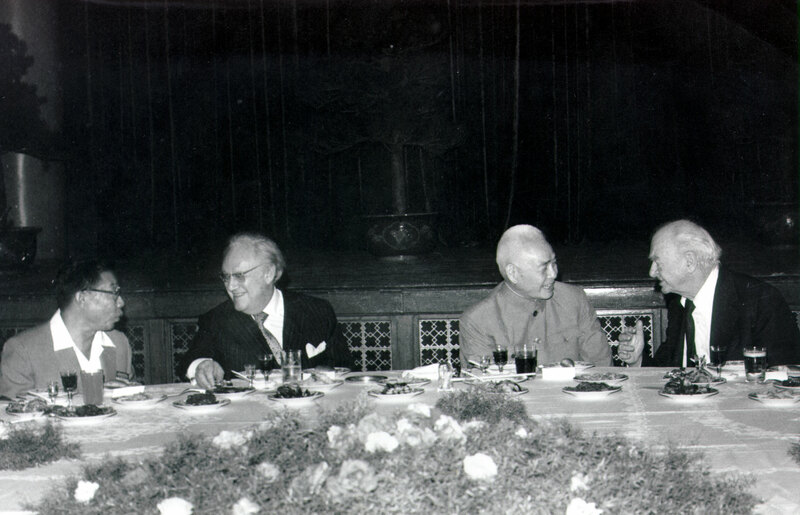 The conference lasted from May 31 to June 8, and was sponsored by the China Medical Association and the Foundation for Nutritional Advancement, the latter of which Pauling was president. The conference took place in Tokyo, Japan and Tianjin, China, travels to which would comprise the first part of a trip that would also take the Paulings to Germany and to London. Their daughter Linda and her husband Barclay accompanied Linus and Ava Helen to the Orient. Pauling made the opening remarks at the beginning of the conference in Tokyo on June 1. After the Tokyo sessions were completed three days later, the Paulings flew to Peking, traveled in an official vehicle to Tianjin (a “red flag limousine,” as recorded by Pauling in his journal) and stayed in the State Guest House in the same suite used by Richard Nixon during his iconic 1972 trip to China. From June 4-8, Pauling participated in the conference, which was jointly planned by the FNA and Professor Chou Pei-yuan, the President of the University of Beijing. This was the second and last time Pauling was to visit China. A day after arriving in China, the Paulings toured Tianjin Medical College, Tianjin Hospital and Tianjin Children’s Hospital before attending a formal reception given by Li Xiannian, who eventually became the Chinese Head of State in 1983. The conference in China formally opened on June 6, again with Pauling delivering the opening remarks. In them, he discussed the roots of his interest in the field of nutrition, and also reflected upon the early years of his scientific career beginning with his focus on minerals and later interest in the nature of life, which arose in 1929 largely because of the presence of Thomas Hunt Morgan (who had discovered the concept of the gene) at Caltech. An unidentified individual, Arthur Sackler, the Chinese Minister of Health and Linus Pauling, June 1981. In his talk, Pauling explained that he had decided to learn more about organic chemistry in order to understand how molecules are built and how they interact with each other, beginning with hemoglobin. During this time, Pauling also studied antibodies, immunology, sickle cell anemias, and other heretic anemias. In 1954 he decided to look at other groups of diseases to see if they could be classed as molecular diseases, and chose to study mental illness over cancer, because he felt that many people were working on cancer already. After researching mental illness for ten years, he became interested in vitamins. Other talks given over the course of the Tianjin conference included “Vitamin C and Cancer,” delivered by Pauling; “Extending Life Span of Patients with Terminal Cancer Using High Doses of Vitamin C,” given by Dr. Akira Murata from the Department of Agriculture at Saga University, Japan; and “A Study on Fortified Foods with Ascorbic Acid Phosphate,” given by Professor Chou Deqin, from the Chinese Institute of Military Hygiene. The conference closed on Monday, June 8. The next day, the Paulings took part in a sight-seeing tour of the Great Wall and the Ming tombs. Later that week, Pauling gave a talk on chemical bonds in transition metals at Peking University, and continued to give lectures and meet with various scientists throughout the rest of his time in China. 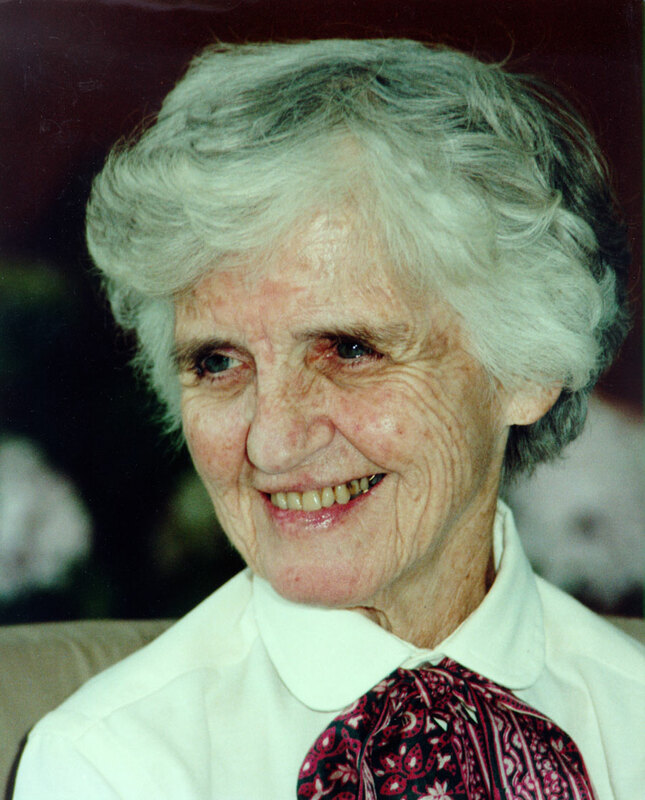 Photo of Ava Helen Pauling taken in China, six months prior to her death. The trip took a dramatic turn for the worse when, in the afternoon of June 19, Ava Helen had a heart attack and was taken to the hospital. Though she left the hospital the next day, she remained medicated and too sick to travel for a few days after, causing the Paulings to change their plans. She remained weak for the rest of their time in China, though recovered enough to complete their planned itinerary through Germany and London. When the couple returned to California and Ava Helen underwent exploratory surgery, it was determined that she was facing a recurrence of stomach cancer, from which she had been suffering for the past five years. Her cancer was deemed inoperable and only a few short months later, on December 7, 1981, Ava Helen would pass away, three weeks shy of her 78th birthday.